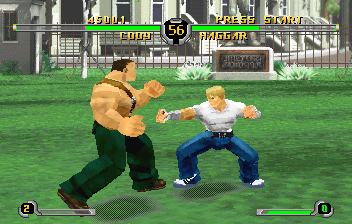 Final Fight Revenge is a one-one-fighter drastically different from the rest of the series, designed by Capcom’s American studio but only released in Japan. 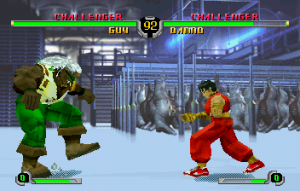 Although the graphics are 3D, it controls like a 2D fighter, and a very bad one at that. The characters consist of a shameful amount of polygons, and the game actually looks worse than the five-year-older Virtua Fighter 2. Its Saturn port – the last game released for the system – requires the 4 MB cartridge and it’s hard to tell why. 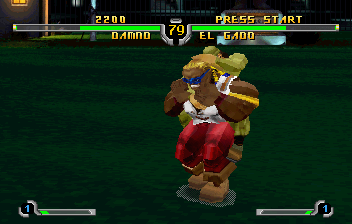 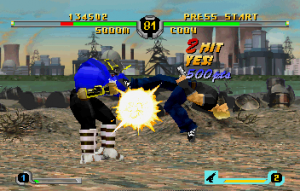 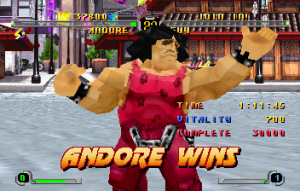 The fighting is extraordinarily clumsy, and unlike Rival Schools, isn’t even remotely fun. 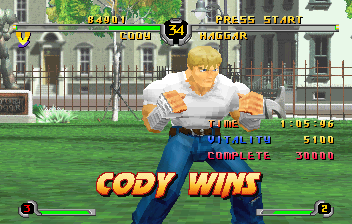 Playing against the computer is annoying, because they tend to block practically all of your attacks, so it’s just a matter of chipping away until you catch them off guard. 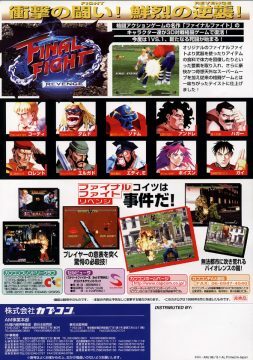 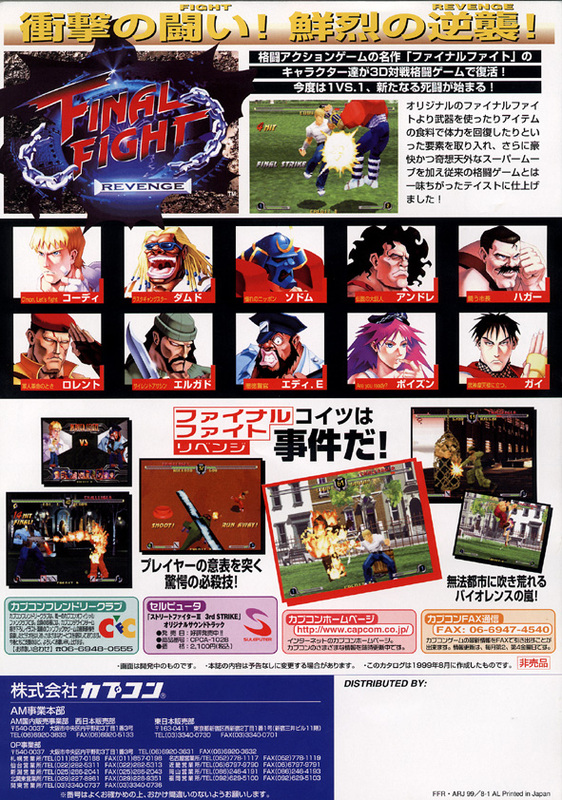 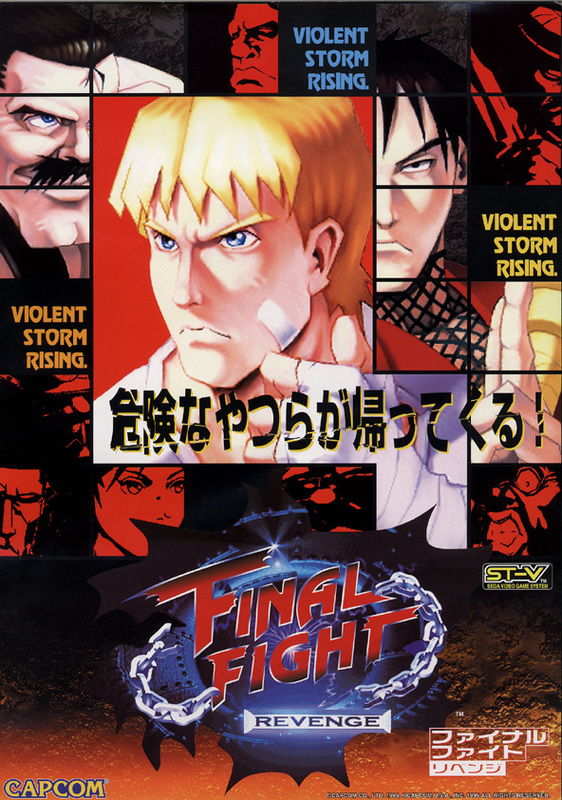 Most of the cast of the original Final Fight have been included as playable characters (but the second and third games are completely ignored). 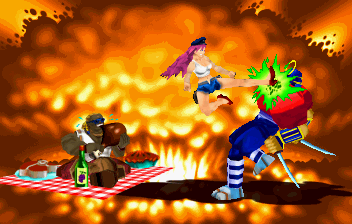 The only redeeming quality is how damned ridiculous the game is. 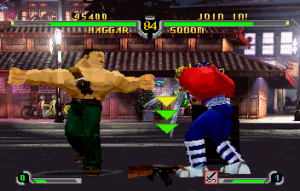 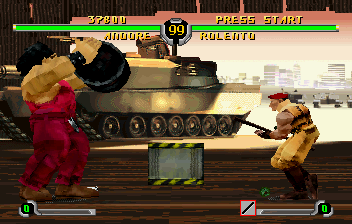 Final Fight Revenge‘s big gimmick was that you could use weapons found in the stages. 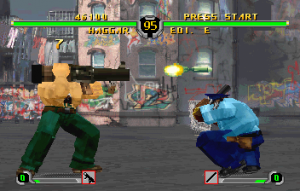 These includes pistols, knives, flame throwers, freeze guns, barrels and others. Needless to say, it’s pretty silly to attack someone with a chainsaw and have it inflict maybe 5% damage. 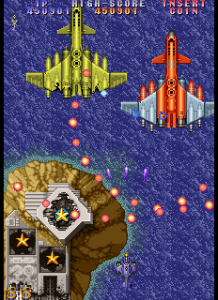 Even stranger are the super attacks – Edi E. seemingly turns into a miniature police car and attempts to run down his opponent, while Rolento summons a helicopter. 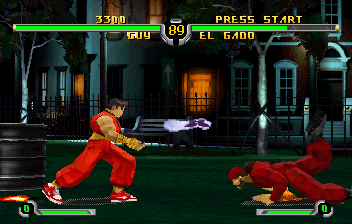 El Gado strangles his opponents and breaks various bones in their bodies (complete with x-ray close-ups), yet they get up with only 20% damage despite having a broken neck. 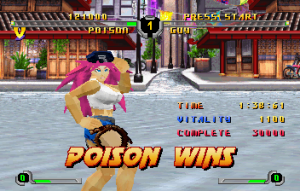 Poison gets close-up and flashes a number of sultry images on the screen, and does a pole dance as a victory stance. 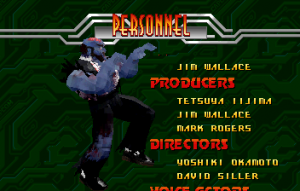 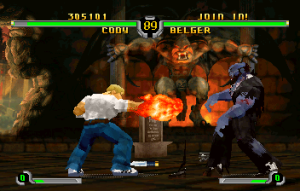 The last boss is a zombified version of Belgar, the villain from the original Final Fight, who can explode and then resurrect himself, and does the Thriller dance in the end credits. 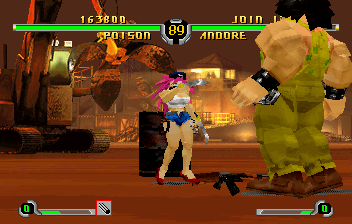 The sheer campiness is amusing, although due to the general lousiness of the game it’s generally not worth the price of the Saturn version).